Henry Franklin Severens was born in Rockingham, Vermont, on May 11, 1835, the son of a farmer. He received his early education in the public schools of Vermont and then entered Middlebury College. He read law in the office of U.S. Attorney Henry E. Stoughton, and was admitted to the Bar in 1859. Judge Severens moved to Three Rivers, Michigan in 1860 and served as Prosecuting Attorney for St. Joseph County. In 1865 he moved to Kalamazoo and began the private practice of law. At various times in his career prior to his appointment to the federal bench he ran for election to Congress, the Michigan Senate and the Michigan Supreme Court. President Grover Cleveland nominated Judge Severens as United States District Judge for the Western District of Michigan on May 14, 1886; he received his commission on May 25, 1886. He was nominated by President William McKinley to the United States Court of Appeals for the Sixth Circuit on February 6, 1900. Severens received his commission on February 20, 1900, and served until his retirement on October 3, 1911. Judge Severens was married twice. His first wife was Rhoda Ranney; his second wife was Sarah Clarissa Ryan. He had two children by his second marriage. 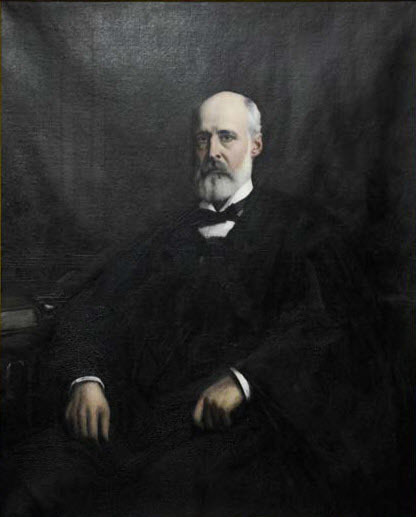 Judge Severens died on June 8, 1923.